Today we discuss the final two chapters in this World War II history book that we’ve been reading all summer! Next week we’ll feature a final wrap up on this book and announce the next read-along which will be family friendly and another World War book. British and Indian troops recaptured Burma in 1945, restoring the idea of the British Empire and costing Japan 80,000 fallen. On February 19, 1945, the assault on Iwo Jima began and American casualties were larger than D-Day. By March 27, the island was in American hands and airstrips for B-29 Bombers brought the air war closer to Japan’s main islands. Japan – still hoping to negotiate – launched air attacks against the U.S. Navy, including kamikaze tactics. 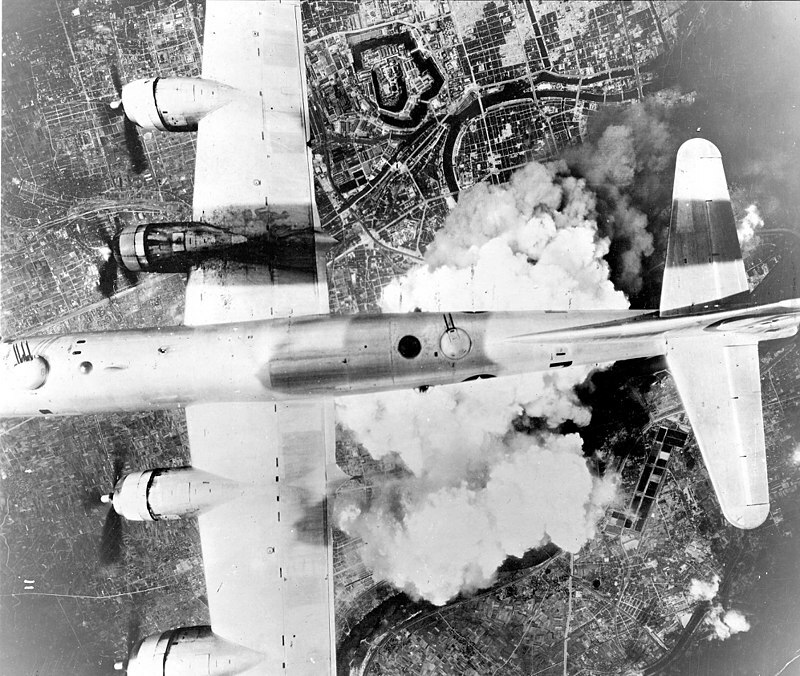 The fire air-raids on Japan’s cities began in March 1945, killing thousands of civilians and destroying urban areas. The landings and battles at Okinawa began on April 1, 1945, costing both sides thousands of casualties; the three mile island was not declared secure until June 22. Homefront support for the war started to lag in America after the German surrender in Europe. Japanese kamikaze pilots were not all enthusiastic about their final missions. Elsewhere in the Pacific, Austrian troops arrived in Borneo and U.S. troops regained more land in the Philippines. General Douglas MacArthur began preparing for Operation Olympic which would be the invasion of Japan itself. Stalin sent Soviet troops into the Manchurian offensive in August 1945, seeking more territory gain for his country. In the United States, scientists working on the Manhattan Project had developed the atomic bomb; some advocated for a demonstration use instead of immediate military use. On August 6, 1945, the first atomic bomb was dropped on Hiroshima; on the 9th, Nagasaki was hit with the second atomic bomb. August 14 (in the United States) 1945, Japan surrendered and the documents were signed aboard the battleship Missouri in Toyko Bay on September 1. Quote of the chapter: “We are going to meet our fate led by the cold will of the government. I shall not lose my passion and hope until the end… There is one ideal – freedom.” Norimitsu Takushima, Japanese bomber pilot. 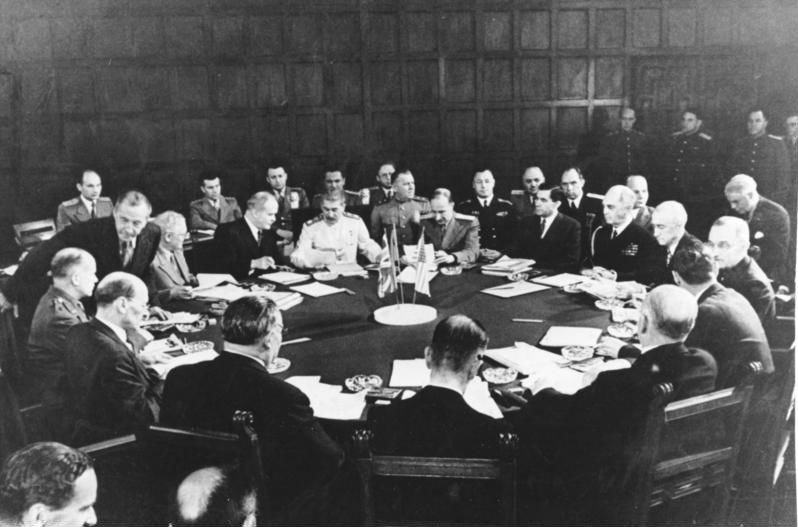 Nations responded to and interpreted World War II differently in its immediate aftermath. German tended to feel self-pity. Poles found their country divided and taken over again – this time by the Soviet Union while the other Allies showed little interest in protesting. Some Japanese were relieved to surrender, others fought to the end or committed suicide. France approached the wartime history tentatively, at first justifying Petain’s regime with the Nazis, then reacting against collaborators and never really developing an official story of their war. Britain saw the war a time of testing and great national moment, even though it marked a breaking point in their empire. The United States was the country without a perceived story of victimization during the war; the country’s industry kept Allied armies in the field and troops had played major roles in the conflict. Stalin and the Soviet Union played a powerfully destructive military game and a shrewd political game, building the stage for the USSR’s expansion and the beginning of the Cold War. Small scale conflicts and accidents claimed more casualties, even after the surrender documents had been signed. Some countries reacted to the re-imposition of colonial or nationalist efforts by European Empires; more many World War II ended the empire system or at least opened the door for independence through law or later conflicts. At least 60 million people died as a result of World War II. Only a small minority were convicted of war crimes on both Axis and Allied sides. World War II changed political geography, military history, and western societies and cultures with most participants making moral compromises along the way. I found an interesting contrast in the idea put forward by some of the scientists involved in the Manhattan Project. Would a publicized detention of the new atomic bomb have forced Japan to surrender without the bombs dropped on the cities? And how would the other Allied powers have reacted to the demonstration instead of immediate combat use? I think it’s important to remember that our stories and our perceptions of the past may have truth but must be set in the realities of the times. 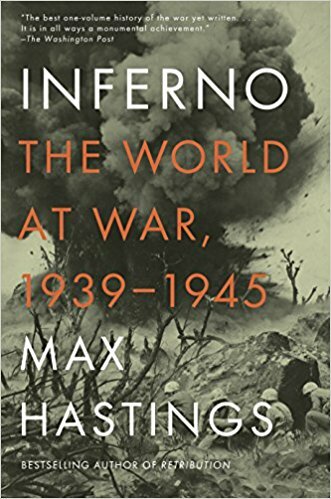 As Max Hastings points out, in the West we often see World War II as “the good war.” There were certainly good moments and many examples of courage and other noble attributes, but to try to reduce a complex conflict with global implications to a simple battle of good and evil is not wise – nor is it accurate. Your thoughts on the final chapters? Save your impressions of the whole book for next week when we wrap it all up and prepare this summer series for the archives.